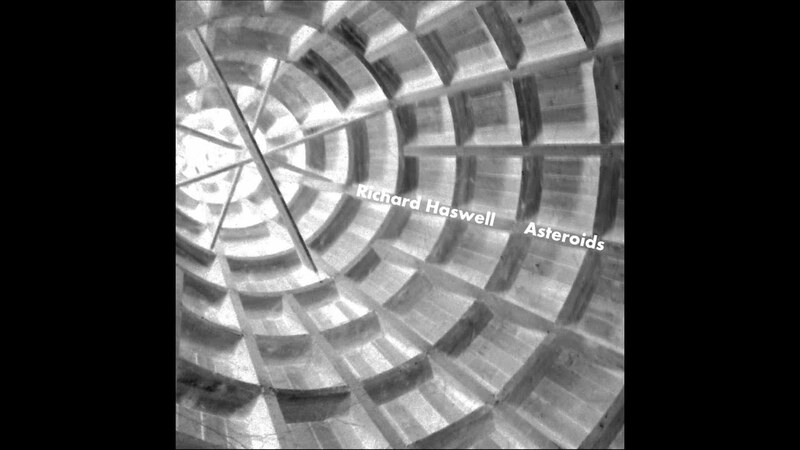 Richard Haswell’s latest album ‘Asteroids’ is one that indulges in a more classic style of rock music, echoing remnants of big artists such as David Bowie, Nick Cave and/or perhaps Peter Gabriel. Spanning eight new songs, ‘Asteroids’ offers more of Haswell’s brilliant style as the singer and musician combines brilliant instrumentals with his own vocal style. There’s some brilliant styles and effects at work on ‘Asteroids’, which seems to present itself as an album that wouldn’t have sounded out of place in the seventies or eighties. It is a rich and rewarding experience that offers crisp and clear sound production that spans across the length of the whole album. There’s many elements on ‘Asteroids’ at work, which offer up a brilliant rock performance that is sure to please fans of a more traditional rock music style. There’s much to enjoy in the music itself, which seems to just run from song to song in brilliant style, with no stops or pauses or even any jarring moments in the sound itself. Everything sounds well produced, with there being a lot of effort in the overall sound of the album. It is rewarding as it offers up a brilliant vocal style, that is by no means perfect, but simply works well for the style of music it is accompanying. The main working force on the album seems to be the bass guitars, which feature brilliant riffs and grooves that are at times, reminiscent of Roger Waters or even perhaps Tony Levin. There’s very little that is wrong with ‘Asteroids’ as an album, which seems to have had a lot of thought and effort put into its production. Perhaps a criticism can be found with Haswell in terms of the diversity between the songs. Whilst there is a superb flow to the album, with the instrumentals in every song complimenting each other, and giving the album a brilliantly thought out character, it seems that this is achieved through using similar sounding instrumentals for some of the songs, or similar structures, meaning that Haswell isn’t showing off everything he is capable of. However, considering how well ‘Asteroids’ flows together, it is easily forgivable, and barely a problem for the overall album experience. ‘Asteroids’ is somewhat a surprising album, in that it is one that seems to be hidden away, only noticed by those who have heard of the musician beforehand. It is one though, that is incredibly rewarding and brilliantly produced. There’s a brilliant writing style, both lyrically and instrumentally, which all comes together to present ‘Asteroids’ as a wonderfully strong album. All the efforts that have been put into the album by everyone involved has come off in brilliant style, making it a worthy album, and one that Richard Haswell can easily be proud of in his grand repertoire of music.